"A Place on Earth", acrylic on 21 Arches Aquarelle paper, overall size ca 230 x 390 cm, 2007. 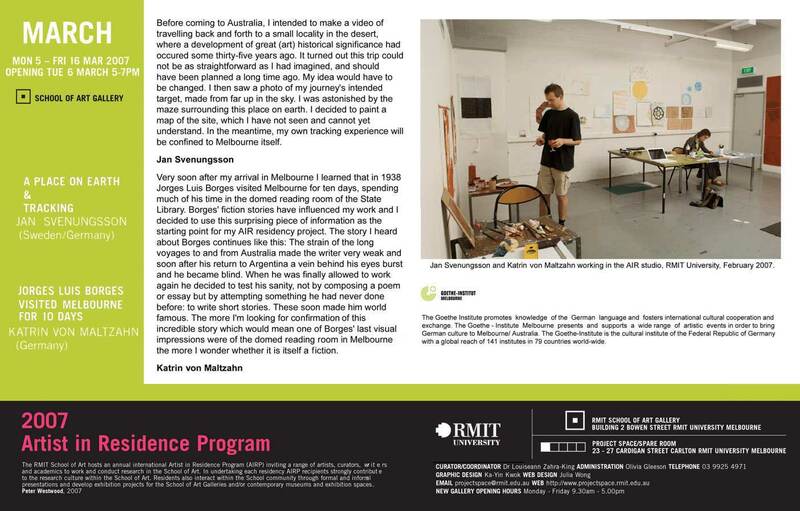 In February-March 2007 JS and Katrin von Maltzahn were Artists in Residence at RMIT University School of Art in Melbourne, Australia. In February a collaborative exhibition with work brought from Berlin, was mounted at Ocular Lab, in Brunswick, Melbourne: "Being the Mirror". The second parallell exhibition was produced in Melbourne, and installed at the Faculty Gallery in March. 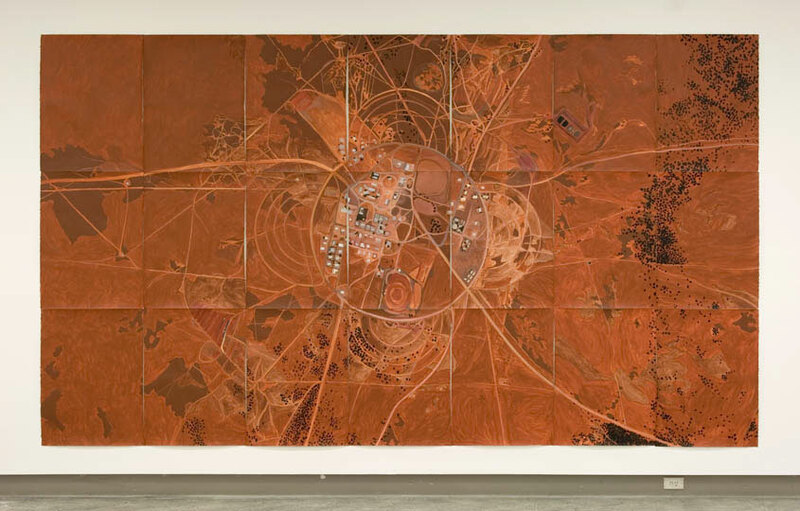 JS showed two pieces: the above painting and the 112 minute long "Tracking", shown on a monitor on the opposite wall from the painting. This is one of four installation views. High resolution image of "A Place on Earth"